This edited volume reports on the growing body of research in science communication training and identifies best practices for communication training programs around the world. 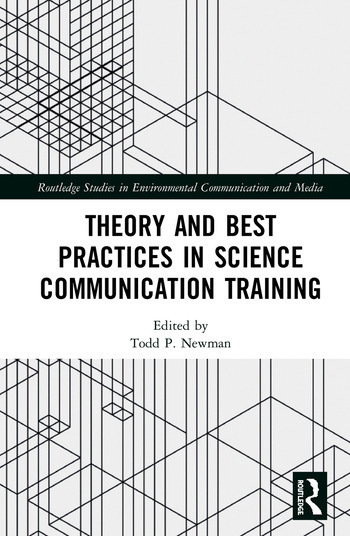 Theory and Best Practices in Science Communication Training provides a critical overview of this emerging field. It analyzes the role of communication training in supporting scientists’ communication and engagement goals, including their motivations to engage in training, the design of training programs, methods for evaluation, and frameworks to support the role of communication training in helping scientists reach their goals. Overall, this collection reflects on the growth of the field and provides direction for developing future researcher-practitioner collaborations. With contributions from researchers and practitioners from around the world, this book will be of great interest to students, scholars and professionals within this emerging field. Todd P. Newman, Ph.D. is an Assistant Professor in the Department of Life Sciences Communication at the University of Wisconsin-Madison, USA where he teaches courses on science communication, strategic communication, and marketing. Newman is the co-author of Brand (2018) -- which examines the role of brand strategy in society, including scientific debates -- and previously conducted research on science communication training as a postdoctoral associate at the University of Connecticut and the Alan Alda Center for Communicating Science at Stony Brook University.